Have you had any time yet to start planning your first promo for the year? Or do you have absolutely no clue where to start? 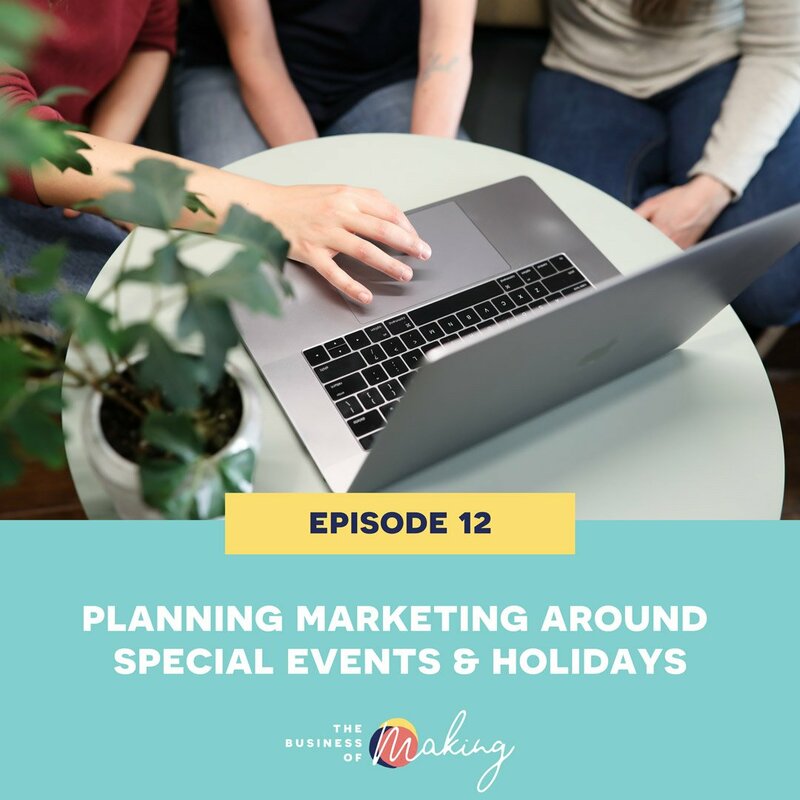 This week on the Business of Making Podcast we’re chatting about planning your marketing around special events and holidays throughout the year, including projected timelines, international ordering dates, turn-around times, sales and not doing everything! Have any special events planned for the holidays? Let us help you plan your holiday marketing so that you can make more sales!